*My computer had to go back to the Dr. which is why I've been MIA this week. 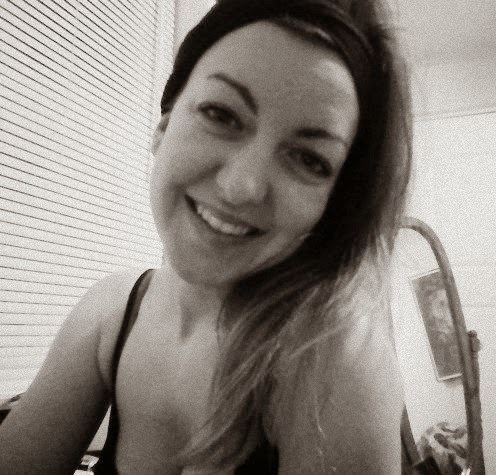 It's all good now though & my webcam is functioning! I almost titled this post macaroni casserole, because it's pretty much just a vegetarian version of the one my mom used to throw together with ground beef... but I used fuselli instead, so there's that. I'm going to do a whole post on Daiya soon! - Preheat oven to 400-425F. - Boil water in a large pot. Add pasta and stir, continue to boil on reduced heat. When pasta is almost cooked (7-8mins) add frozen corn. Cook until desired tenderness & drain. - Put pasta/corn in a large bowl, add spinach, pasta sauce and stir until pasta is coated. Pour into 13x9 pan and flatten lightly. 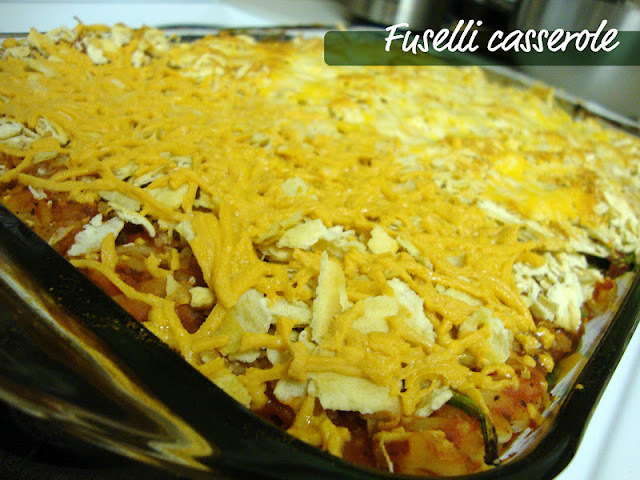 - Crush crackers over pasta to cover and grate a generous amount of cheese over top. - Bake for 25 mins, then let cool slightly. Done! This meal never fails to remind me of home. My mom's comfort food is the best. Doesn't everyone say that about their moms though?